Cakes on Pinterest. Breathtaking and Impossible. They are Objets D'art. They are Objects of Desire. We will be designing cakes for weddings and other festivities...not right away, but once we get going. Part of caking making is the cake, part the filling. Then comes the decorating, and this can be by icing, ganache, or fondant. 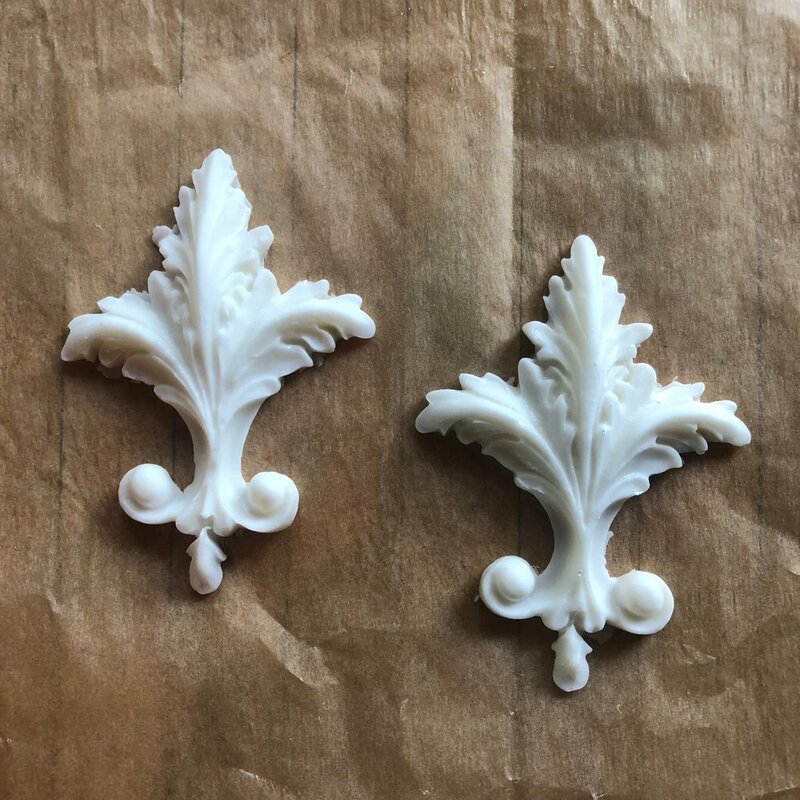 Fondant is a workable mixture of almond paste, sugar and magic which is placed into molds or rolled. These creations can be colored or even gilded. Right now I am fascinated by fondant. Here are my latest experiments into this occult art.